faites à l'Hôpital Saint-Louis, par.. Description: ii, 112pp, ill., 22.7cm. 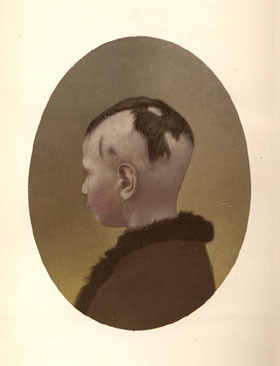 His own particular interest was mycology, especially the various forms of scalp ringworm, conditions with which he acquired an enormous experience over the years. • Reprint: extrait du Progrès médical. • Recueillies et publiées par L. Landouzy. A la Société Médicale des Hopitaux. Hommage de l'Auteur. Février 1878. Lailler. "[Vidal] was the first to produce color combination prints of chromolithographs with a brown pigment picture, especially he combined chromolithographs with a black Woodburytype printed last, which gave, owing to its transparency, excellent fine effects in reproductions"
Chief of dermatolgy at Hôpitaux Saint-Louis, Lailler also assumed the position of president of the Société Française de Dermatologie in 1891. 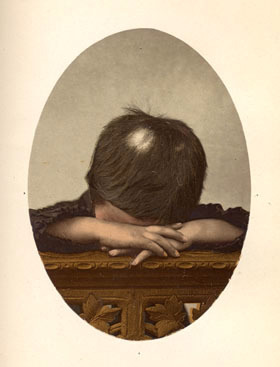 He founded a charitable school, Ecole des enfants teigneux, for those children quarantined by tinea. A passionate book collector, the library he bequeathed to Saint-Louis numbered 1300 volumes.